I would like to express my sincere thanks for the excellent experience I have had with my two puppies at Karma Dog Training. 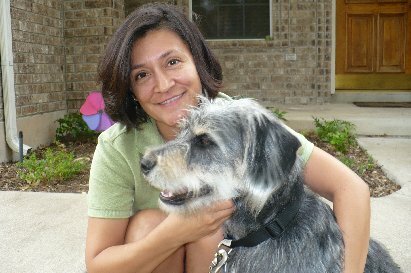 From the Puppy Kindergarten classes to Basic Obedience to private training, I have learned so much about positive training techniques for my dogs. Both instructors of the puppy kindergarten classes, Frank and Aimee, were very fun, patient, and knowledgeable. I feel especially fortunate to have private training with Aimee Burton, an excellent dog trainer. After months of trying on my own, Aimee helped my Japanese Chin, Bella, walk on a loose leash after just a couple of sessions. Thank you very much for choosing such skilled and kind trainers to be a part of Karma Dog Training. I will heartily refer this company to others. When I got Jackson a year ago, I hadn't had a puppy in a very long time. I wanted to do all the right things for her, including puppy classes. The rescue she came from recommended Jeff, and I'm glad they did. He has that natural spark for understanding all things dog. He is gentle and patient - with the puppies AND their people; that is a gift. The structure of the classes is well-conceived: work and learning first, then play time for the puppies to develop social skills. These classes were the springboard for me into a great relationship with my high-spirited, lovable Jackson. Karma Dog Training really cares about you and your dog. I had private lessons for my dog, Scully, after he got lose one day and a neighbor got bit. I instantly called the trainer, Amy, who did our group classes and she came out that day to begin private dog training classes. We have had about 5 classes w/ her and she has really taught us how to manage our dog's on leash aggression. He has come such a long way! Also, the owner, Jeff has been incredibly helpful as well. He really cares about the dogs and it shows in his customer service. He even called the manufacturer of a dog muzzle company to expedite my order. I would recommend them to any dog parent. 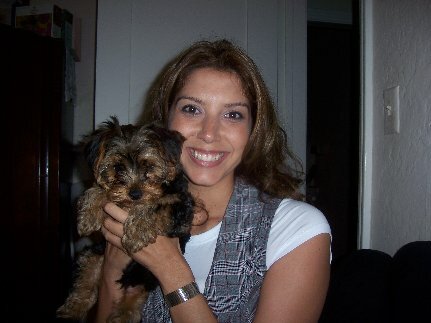 We got Angel, an adorable baby Morkie, last November. This was our first experience with a small breed. Angel came traumatized by the flight from TN and soon we discovered that she was a handful and we did not know how to handle her. We were considering giving her away. Jeff Brian and his training came into our lives right on time. Jeff''s gentle, positive and spiritual approach changed the dynamic very quickly. Angel was responding and we understood her needs, her moods. Angel got socialized, she's exercised and a total joy to be with. Thank you Jeff for caring, guiding and teaching with love. So far so great! We took our 3 month old puppy to their kindergarten class on Sunday afternoon at the oh-so-posh "Bow Wow Bungalow" site in Burbank. Watson absolutely loved it. It gives puppies a chance to socialize with one another and let off some steam in a very safe, sterile and friendly environment. The training was more for me and my husband, but Watson loved the trainer, Frank, and especially his rewards of boiled chicken. Alas, organic baby carrots no longer elicit the same excitement as a lure. Both frank, the excellent trainer, and Jeff, the owner, answered so many questions for us and helped us out greatly. We really want the best for our dog and think we've found it. I didn't expect the experience would be as awesome as it was. it made our feisty chocolate lab puppy totally worn out and mellow for the rest of the afternoon and evening. Thank god! Can't wait to go back next week. Ellie and I at the dog park.... I never thought this would happen. Ellie is sitting on my lap calmly while other dogs bark, run, and play on all sides of us. When I first rescued Ellie only 6 months ago I was sure I would not be able to bring her anywhere that there where other dogs; especially places where there are many other dogs. Thanks to Aimee at Karma Dog Training Ellie has progressed by leaps and bounds. She is still working out some of her issues but she can now go to dog parks, hike Runyon Canyon, and socialize with other dogs. Yeah! Oh and of course she has learned all the basic commands and even some cute tricks. Positive reinforcement training works! We wanted a strong, guardian breed. But, I did not want a ticking time bomb. After doing some research, we settled on a Cane Corso. 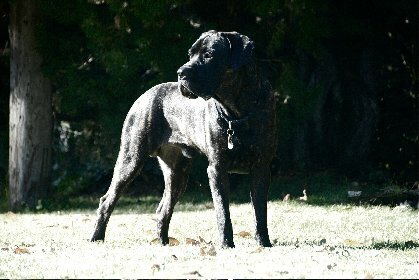 We understood that the Cane Corso is a powerful breed, and we were determined to NEVER have a dog that is out of control, or a hazard. Along with establishing a healthy pack-structure with our new boy, Django, we also wanted him to do plenty of socializing with other dogs. We needed a good Puppy Kindergarten class to get started on both agendas, and that's how we discovered Jeff. Jeff's Puppy-K class felt tailor-made for our new pup. Django, responded very quickly, picking up the basic behaviors and commands almost effortlessly. While Django was putting two and two together in class, my wife and I were enjoying Jeff's approach. We connected with this idea that training should feel something like play to the dog. It should be fun, stimulating, and confidence-building for the dog –not like working on a chain gang. Understanding Jeff's motivational approach set the foundation for much of the other training we have continued to do with Django. Having a well-trained dog exponentially increases our enjoyment of, and connection with, our boy. And it also expands the quality of life for Django. Since Django is so attentive and easily managed, he goes to work with my wife on most days. And I take him with me when it's appropriate. He loves it. A well-trained dog enjoys a richer existence. An out-of-control dog ends up in the back yard. We're proud to say that today we have a confident, two year old, unaltered, male Cane Corso, weighing over 100lb, that can hold a down-stay while being approached by a neighborhood cat, is gentle with small dogs and cats, that plays beautifully with other dogs (even many males), and that is stable as a table with children. He heels off-leash, and always comes when we call him, and is a total lover with us and those people he has become friends with. But, the best part is that none of his training has compromised his core nature: he is affectionate, confident, and he remains a very protective and alert home-guardian. We will be getting our second Cane Corso this month and definitely plan to give her the wonderful Puppy Kindergarten experience with Jeff that Django benefited from. Thank you Jeff and Karma Dog Training for helping us to establish such a satisfying and successful relationship with our dog, and thanks in advance for the second time around. I really wanted to thank you for your instruction. The class has been such a huge part of our lives for the past 7 weeks, I want you know that you have set off quite a ripple in our pool. Bruce is much happier, much more focused. It follows of course, that we are happier as well. We are all enjoying each other so much more with our new and improved communication skills. Working on our relationship is going to take a lifetime, but the beginning has been so fruitful that we all intend to enjoy the ride as much as possible. The introductions that you launch each lesson with have been lovely. I thank you for reminding us to be present in the moment and to act from our highest self. Your "dog training" course has certainly been an education for me, and yes, for Brucey too. I look forward to more enlightenment in the future. Please let us know about the second part to the course. 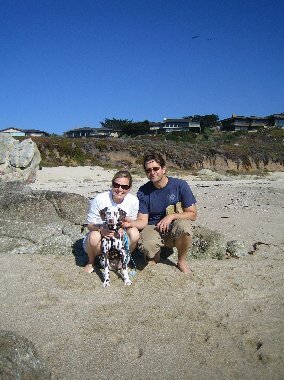 We want to thank Jeffrey for all the great advice and tools he has given us in order to raise a well adjusted puppy. His positive reinforcement-only policy has been truly effective in training Harper, our 18 week old yellow lab. It's not always easy (for us or the dog) but persistence does pay off in the long run. She has really come a long way since her first puppy kindergarten class. On that first day we were so nervous that she would be the most wild and out of control dog - and she was. Within the first 10 minutes we saw a big difference in Harper's behavior from the way Jeffrey interacted with her. He has such a gentle and calm energy and that quickly registers with all the puppies (and people) in the class. We are almost finished with the puppy kindergarten series and just last weekend had one of the best days yet with Harper. On a long walk at the lake she had perfect form with loose leash walking, interacted respectfully with adults and children, and had a blast with all the other dogs around. Thank you again, Jeffrey for such an enlightening and positive experience. 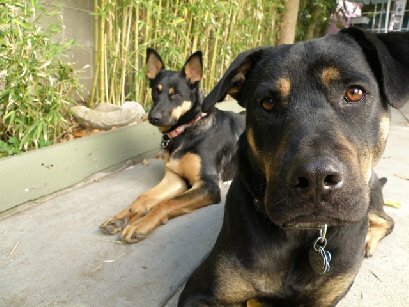 It was love at first sight when I saw my guy Volt on the rescue website. I couldn't wait to bring him home! When I finally got him the woman from the rescue organization indicated that one of the requirements of being able to adopt little Volt was that he attend puppy training courses. Of course, I agreed, I signed some papers and from then on Volt and I have been living happily ever after. I did take Volt to puppy classes at a pet store where he learned very basic "sit, stay" commands. He graduated from those classes and everything was fine. Then Volt began to enter what I believe were his "teenage years." He became very hard to control. He was pulling on the leash, he became very excited when he saw other dogs, he was jumping all over the place and it became difficult to take him out. I had no idea what was going on but I figured that maybe it would pass and he would grow out of it…that was until one day on a walk Volt became very aggressive toward another dog and since he was unable to get to the dog, he turned around and bit me several times. I was slightly traumatized but more than anything I knew I needed to get help for Volt. I was determined to get through this. Of course, I had no idea how. That's when I found Karma Dog Training. A friend actually recommended Jeffrey to me and I called right away. After speaking with Jeffrey we set up an appointment and had our first training session. I was instantly impressed with Jeffrey's attention to detail and his very genuine interest and concern in helping Volt and I become balanced. Jeffrey assessed Volts specific issues and also pointed out the things that I could be doing to help him. I learned so much the first lesson that I couldn't wait to see the progression that would ensue. Volt went on to attend the Karma Dog Basic Obedience I class. I definitely saw improvements in his behavior. After the classes were over, I continued to work with Volt on my own for a while and he was doing great. That is until I went to a local dog park and Volt was attacked by another dog. Following that event, he became very leash aggressive and aggressive toward other dogs. It got to a point where I would try to walk him in places where I was sure I wouldn't run into other dogs. It was a little stressful and I knew that this wasn't normal for Volt; he's a happy go lucky guy. Something was wrong. So, once again I went to my go to people at Karma Dog Training. 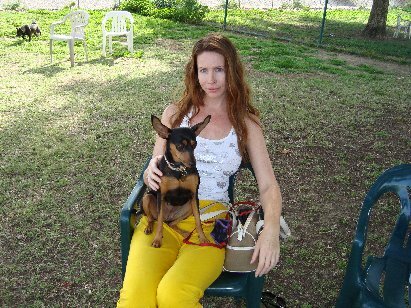 Jeffrey recommended Volt attend Basic Obedience II classes and perhaps have additional private sessions as well. I agreed. Volt began his lessons and again with Jeffrey's help and guidance things were looking up. However, Volt did need some personal attention for his specific issues. This is where Aimee, Karma Dog's head trainer , came into the picture. Volt would need a lot more work and Aimee was 100% present and available to help me with all of the issues that would need to be worked out. Aimee has been awesome; from the beginning she has been very involved and very detailed about Volt's issues and his progress. Volt eventually completed Basic Obedience II and it was time to take him out into the real world and test him out. I was a little nervous about that given my prior experiences and that is why I was happy that I did not have to do it alone. Aimee was there to help me every step of the way. She helped me understand what was going on with Volt, how to deal with his outbreaks and how to keep him happy and balanced. As a result of working with Aimee, Volt is now at a point where I can take him hiking, off-leash around tons of other dogs and he is perfectly fine!! He is doing great and I am stoked!! Oh, but the story does not end here. About 8 months ago, while I was still working on Volt's issues, I acquired a little puppy who was in pretty bad shape. I decide to keep her and ever since then, Lola, has been a permanent part of my family. Volt and Lola got along great. I spoke with Jeff about Lola and he recommended puppy kindergarten where she was exposed to a lot of necessary socialization and she learned basic commands. However, as Lola started getting older, she developed some pretty serious behavioral issues as well. At first, she just barked incessantly, but that eventually turned into fear and anxiety. It was actually Aimee who caught on to Lola's abnormal behavior and she immediately gave me some very sound advice and instructions on what I should do to work with Lola. Lola's issues got to be pretty severe; she could not see another dog without going crazy, barking and lunging at the dog. I was worried and I was frustrated, but not for long. Aimee took on Lola's case as well and within about a month Lola was able to join Volt and I on our off leash hikes. Lola is doing sooooo much better. We are still working on a few issues but I am confident that with Aimee's help everything will be fine in no time. Aimee has been a constant source of knowledge. The woman knows everything! And, she has a variety of skills from which she draws on to meet specific issues. I LOVE Karma Dog Training!! I have learned so much from both Aimee and Jeff and my dogs are a testament to the fact that they know what they are doing. What I like best about the training we have received (I say "we" because I've been trained too!) at Karma Dog Training is that it is firmly rooted in positive reinforcement. I'm not keen on yanking, shocking, kicking or any other aggressive training techniques out there. While I believe that there are some instances where those methods may be necessary, Karma Dog Training has always provided me with effective and humane training techniques. They have also taught me to understand my dogs mind and to develop mutual communication for maximum satisfaction between myself and my dogs. There was a point where I thought I would never be able to go out with my dogs on a normal walk around other people and dogs. Karma Dog Training made what I thought was impossible, very possible, practical and attainable. KARMA DOG TRAINING ROCKS!!!! Thank you Aimee & Jeff!! 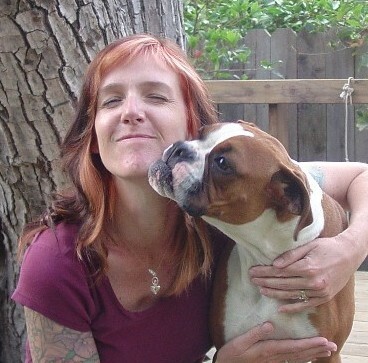 With two rescued three-year-old boxers, we soon realized we had our hands full! Each had their own strong personalities and peculiarities and, without knowing their full histories, some of their behaviors were downright confusing! 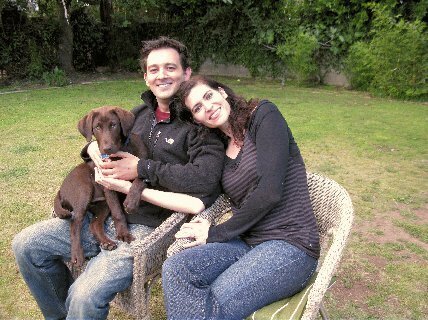 Jeffrey and Aimee took immense amounts of time to help us understand the motivations of our dogs and how to work with them, rather than against them, to make life happier for all of us. It was obvious from the start that the dedication, knowledge and love for dogs that these two had was incredible. Thanks again for everything! One might say that it was KARMA that we found Jeff. We've worked with a few other dog trainers and have to say that no one has had more of a positive impact on our dogs and our lives than Jeff. Jeff took the time to get to know Duke and Bos our 1.5 year old rescue pups so he could properly address our specific training needs and desires. Jeff makes dog training an enjoyable "activity" to do with your dogs. He is able to not only demonstrate how-to-do it, he is able to articulate the information in a way that makes training easy and fun - The energy in our house is more centered thanks to Jeff. His dog sitting services are equally fantastic! We can't wait to see what other services he will provide in the future! When I picked up Caleb, my (then) 6 week old Goldendoodle in June of 2007, I was excited...and very anxious. I knew that this was going to be a long relationship, and I wanted to "get it right this time;" the infamous "last time" being a failed 5 year relationship with a Jack Russell Terrier that now (more) happily resides on a farm in rural Canada. I did some research and through nothing short of Karmic grace ended up attending a puppy class taught by Jeffrey Liebowitz. Six months and two series of six- week Karma Dog Training classes later, it has become clear to me - I am a good "doggy dad." How do I know? Because my relationship with Caleb is a deep one; a bond unlike any I've had with a pet. He is eager to please, to listen, obey, to learn, to be near me, with me and to love me - everything that we want from a canine companion. There is a deep mutual trust and respect coupled with an ongoing sense of fairness. Caleb has taught me much about patience, kindness, respect, logic, focus, and dedication. He has been my teacher as much as I have been his. And to know that I am "getting it right this time" is a feeling beyond compare. But this is where the story is incomplete without mentioning Jeffery Brian. It is Jeff that, through his classes, fosters that gift we all have, who reminds us what is really going on in our relationships with our dogs and the deeper processes that are at play, and who offers proven techniques to build trust and confidence in our dogs. It is not an understatement to say that it is because of Jeff that Caleb is such an amazing dog. It is also because of Jeff that I have learned to be a great dog parent, and that I am getting it right this time. Thank you Jeff!! We knew our 8 week Dalmatian, Puck, would need socialization and puppy training from a young age, so we started looking for a trainer. We started a class and the trainer used overly harsh methods and did not respect that Puck did not have his shots. We did not feel right about treating a dog like this, so we looked online for a trainer who would help us raise our pup to be a well-mannered dog, and who would do so in a way that we felt good about. 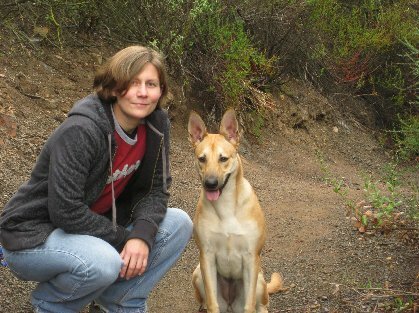 After reviewing several sites, we decided to check Karma Dog Training out. We were nervous after our bad experience, so we audited Jeff''s class before committing. We were amazed with what we saw! Young puppies who listened to their people. No harsh methods, just love, treats and respect. We quickly signed up and began puppy kindergarten with Karma Dog Training. One of the things we loved most about Jeff''s program was that he not only helped us learn how to train our dog, but he helped us understand how not to be frustrated with Puck. (Baby Dalmatians can try the patience of a saint!) Jeff also was diligent in making sure young dogs who don't have their shots were in sanitized areas. We have completed Puppy Kindergarten and Puck is doing great! He behaves appropriately with other dogs and people, he travels with us staying in hotels and eating out in restaurants and he's not even 5 months old! When he acts up, we know what to do and when he flat out ignores us, thanks to Jeff, we know he doesn't hate us - he's just a puppy! We can't thank Jeff enough for helping us nurture our relationship with Puck in a positive manner while teaching him the basic obedience commands. 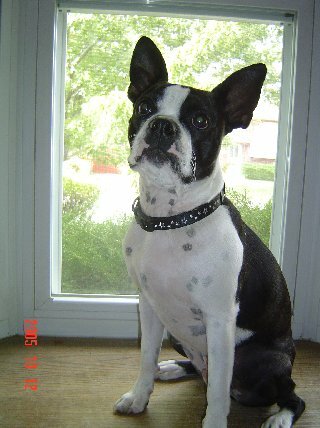 My 3 year old Boston Terrie Cane is a very high energy dog. He not only thinks, but believes that he is a big dog. Soon after moving near my in-laws, we started to see Cane and my in-laws dog Snoopy (9 year old Pit Bull) playing a lot rougher than normal. With in time it escalated to a real dog fight. It was always started by Cane jumping and bitting Snoopy. 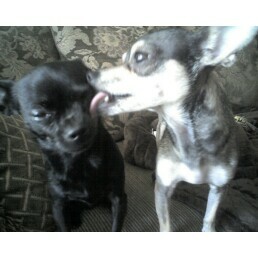 The last fight they had was the one that changed my life, I could not get the dogs apart and it scared my to death. That is when we knew we had to get the dogs some help. 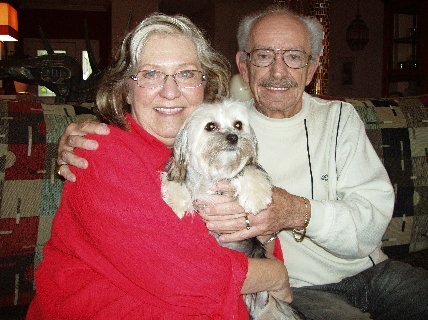 I found Jeff's website and called him up, he came to our home for the first visit and worked with Cane, but mostly he taught US!! We enrolled Cane in his 6 week dog training program, and we were determined to follow through the entire program. The most important thing we learned was that Cane needs lots of exercise since he is a high energy dog. He was not trying to fight with Snoopy, he just had so much pent up energy that he did not know where to direct it. Since we had been walking Cane everyday we had seen a HUGE improvement. 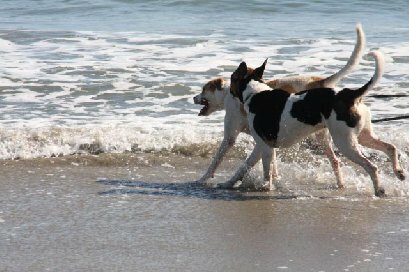 We are able to let the dogs play and enjoy life, while we enjoy our dog being happy. 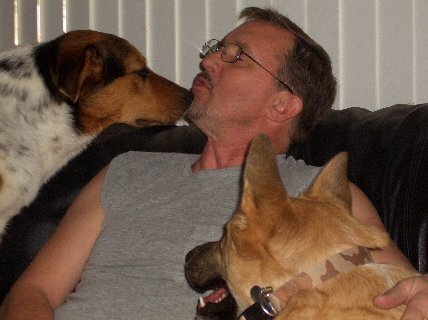 We are so thankful to have found Jeff, he not only cared about our dog, he cared about our family. I grabbed the business card for Karma Dog Training as soon as I returned from chasing my 2-year-old Smooth Coated Collie through the neighborhood for the second time that day. I dialed the number in a panic. What would I find at the other end of the phone? Would he think I was crazy or stupid that I couldn't handle my own dog? I spoke to Jeff and we agreed to meet at my home for an evaluation. I warned him that my dog was "high spirited" which is another word for "out of control". Jeff knocked on my door, the dogs barking and jumping on the furniture. I opened the door. He walks in with his little treat bag strapped to his belt. He made a few chirping and clacking noises and held his hand over their heads and they both sat down. WHAT? I thought I had entered the Twilight Zone. Each training session followed suit from that very first visit to our home. Jeff taught my husband and I how to behave, so actually, it was a training session for HUMANS. The experience with Karma Dog Training was phenomenal. Jeff equipped us with the proper tools so that I could walk my big dogs without the fear of passing by the "conflict" houses. Barking dogs behind fences no longer pose a threat to me. My friends and family can come over now and not be bowled over by my big dogs. And Jeff was not only brilliant in training dogs; he's someone that you want to stay in contact with after the training was done. I highly recommend his services. It's the best money we ever spent. If you had asked me a couple of months ago if I thought my 3 year old Chihuahua Remy could be housebroken, I probably would have laughed. My husband and I were at a point when we thought it was impossible. When we saw Jeffrey Liebowitz's website, we knew his philosophy of positive reinforcement was right for us. After coming to our house, he taught us everything we needed to retrain Remy (and ourselves). In one month we had a completely trained dog. Jeffrey has truly changed our lives for the better. We have a happier dog and a more peaceful home now. Thank you. 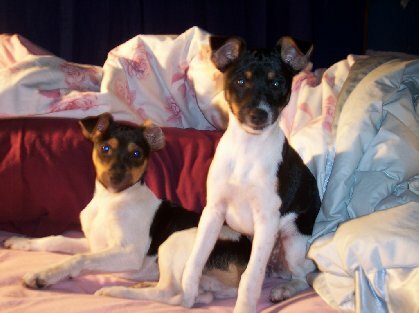 These were not my fist dogs or puppies, but at this stage in my life these two rat terrier pups had a little more energy than I could deal with myself. So on the internet I chose Karma Dog Training. I was not disappointed. 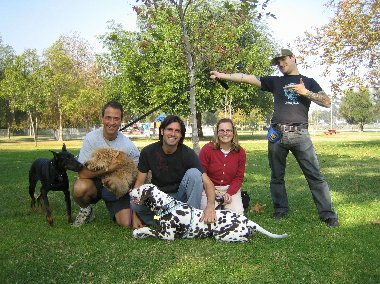 I started out with individual in-home instruction, and after a couple of sessions joined a puppy class in the West Hollywood area. 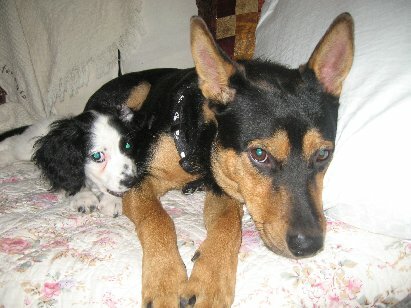 Jack and Jill, four months old at the time, learned all the basic commands fast. Also, where to go to pee, and assists with the barking and chewing, and how to get along with a cat. So going in, feeling quite helpless and out of control, me and the dogs, I now am - I want to say - glowing, happy - that these dogs know what is expected and usually comply. And I get that you know what you are doing, Jeff, and you convey and teach that nicely. Your passion for what you are doing is evident and I thank you for two pups that are loving and behaving. Best of life in everything you undertake. I was so happy to find a dog trainer like Jeff. He was so professional and truly cared about me and my puppy! Utilizing his postive reinforcement methods proved to be quick and effective. Following Jeff''s advice to socialize Frankie as soon as possible was the best advice that I took. Fankie is friendly to dogs and mankind alike and a joy to be around. Thanks Jeff! As first time puppy owners, we throughly enjoyed the class ourselves and felt more confident at home with our little guy using the new techniques we learned each week. 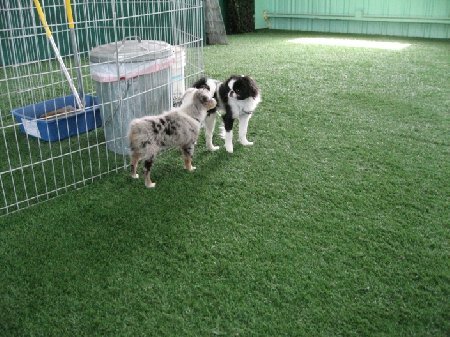 As well as learning all of the basic key commands which he got right away, the Karma Dog Training class gave Bailey, our Australian Shepherd, a chance to have a fun playtime in a clean and safe environment with other dogs his age. We looked forward to the class each week, and meeting with the same friendly group of dogs and owners to share our stories. We would highly recommend this beginner class for anyone who has just brought home their new bundle of joy.